Some people in Florida are confused as to what services a Latin American notary public — “notaria,” “consultoria” or “notario publico” — can provide regarding immigration matters. In fact, these persons are not attorneys unless properly licensed to practice law in this state, and they should not be relied on for legal advice because they cannot give legal advice. Numerous complaints have been received about persons of Hispanic descent who have been harmed after mistakenly seeking legal assistance from notaries who offer such services in immigration matters. Sometimes there is no legal way to immigrate into this country, yet some notaries, without fear of punishment, obtain large fees for immigration counseling and perform no meaningful work for those fees or give incorrect legal advice. In fact, the fees for most notary services in Florida are set by statute, and notaries are prohibited from practicing law in this state. No one is permitted to charge or accept fees for legal services which they cannot or will not perform. Lawyers must obtain a college degree from a four-year university, score well on a national law school admissions test, study law for at least three years, graduate from law school, undergo a thorough investigation of moral character, and pass the state Bar examination which includes testing on ethics, state and federal law. If lawyers fail to give proper advice, they can be subject to the full processes of the law. 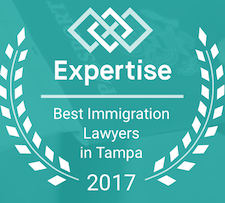 Immigration matters involve various important rights defined in the Federal Immigration and Nationality Act, and competent legal advice from a licensed attorney is needed to understand these matters. Florida notaries public, as opposed to lawyers, do not have any minimum educational requirement. They must be at least 18 years of age and a permanent Florida resident. They must submit a signed application with the appropriate fee, have two witnesses vouch for the applicant’s good moral character, post a bond, and take an oath. Matters as important as immigration — where you will live and under what form of government you will raise your family — should not be placed in the hands of an untrained person. The Florida notary public certifies that deeds, affidavits, depositions and other writings are authentic or genuine. A Florida notary may also give oaths, make certificates of oaths, and perform marriages. 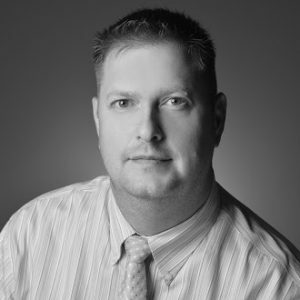 Notary publics cannot give legal advice; nor can they prepare immigration forms while holding themselves out as knowledgeable in immigration law and practice. They cannot draw up wills, contracts, leases, deeds or other documents that might affect your legal rights. This would be the practice of law, and notaries in Florida cannot practice law. Anyone violating the state law which sets forth the requirements for a notary commission is guilty of a felony crime. If you would like to know if someone is an attorney licensed to practice law in the State of Florida, you may find out by contacting The Florida Bar, 651 E. Jefferson Street, Tallahassee, Florida 32399-2300, (850) 561-5600 or (800) 342-8060 (toll free). Ask for membership records. For more information about notaries in Florida, contact the Bureau of Notaries Public, Secretary of State, The Capitol, Tallahassee, Florida 32301, telephone (850) 488-7521. Finally, if you or someone you know has been misled or harmed by a person who is not a licensed Florida attorney, contact The Florida Bar, Unlicensed Practice of Law Division-Miami Branch, (305) 377-4445; Ft. Lauderdale Branch, (954) 772-2245; Tampa Branch, (813) 875-9821; Orlando Branch, (407) 425-5424; Tallahassee Branch, (850) 561-5840. 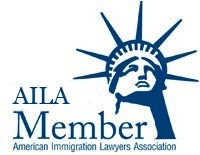 Watch this Video, produced by the American Immigration Lawyers Association (AILA), regarding notario fraud.